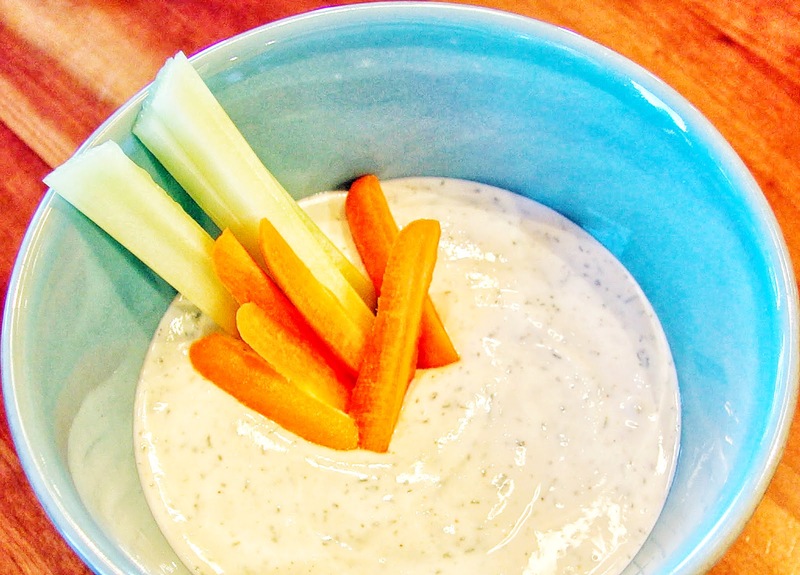 This is a really basic recipe for ranch dip and dressing. I love to use fresh herbs when I have them on hand but dried herbs work well too as long as they haven’t been sitting in your pantry or cupboard for longer than you can remember… They should actually smell more like the fresh herb they once were than like the dust on the top of your refrigerator. I try to refresh my supply yearly. If I have more than I think I’m going to use in a few months I stick the herbs in the freezer to keep them fresh. It’s easier now that we have this cute little spice shop in town called Savory Spice; you might have something similar where you live. They really care about sourcing the best spices and herbs and you can buy as little or as much as you need. It might seem like an expensive way to buy spices and herbs but it’s actually the opposite. Those jars in the grocery store can be super spendy and the quantity is often more than you need so the rest goes to waste. Plus, you’re paying for that glass jar every time. So, invest in some refillable spice jars or, better still, reuse the glass jars you have (dumping the contents if they no longer meet your fine cooking standards) and buy from your local spice shop, online at a specialty store like savoryspiceshop.com or at least from the bulk section of your grocery store. And never, ever let your husband talk you into buying them from Costco unless you are actually running a restaurant. You’ll notice there is no mayo in my version of ranch style dip and dressing because it’s one of the few things I refuse to eat. I don’t know why it’s just always repelled me. I can’t even eat it to be polite and I am a very polite person. If you must, go ahead and use it in place of the Greek yogurt but check out the nutrition facts below first. I promise it’s delicious without it! Double or triple the recipe as necessary. 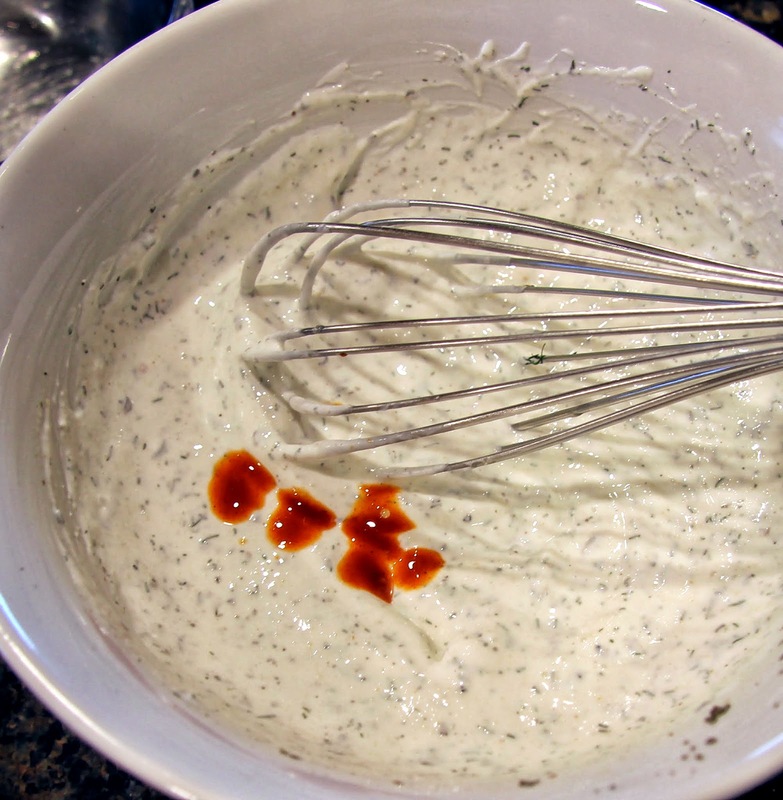 Whisk in about 1/2 cup buttermilk or regular milk to the dip recipe to thin it out for salad dressing. 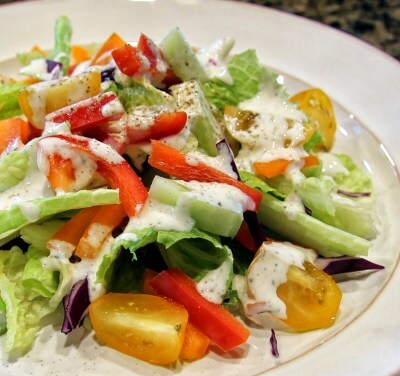 Add more if you like a thinner dressing. 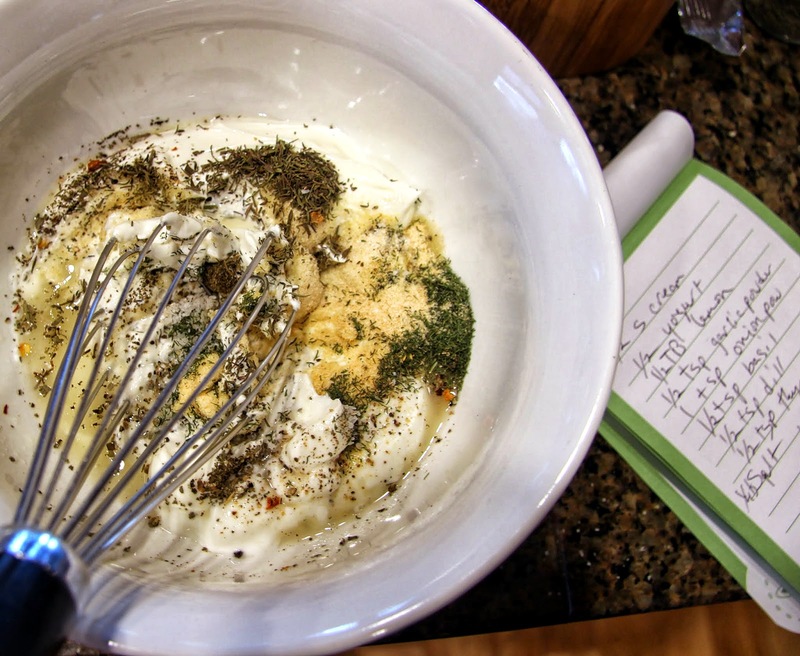 Place all ingredients in a small bowl and whisk together. Taste. Add more hot sauce, salt, pepper, etc. to your taste. You’re done with the dip. Refrigerate until ready to serve. 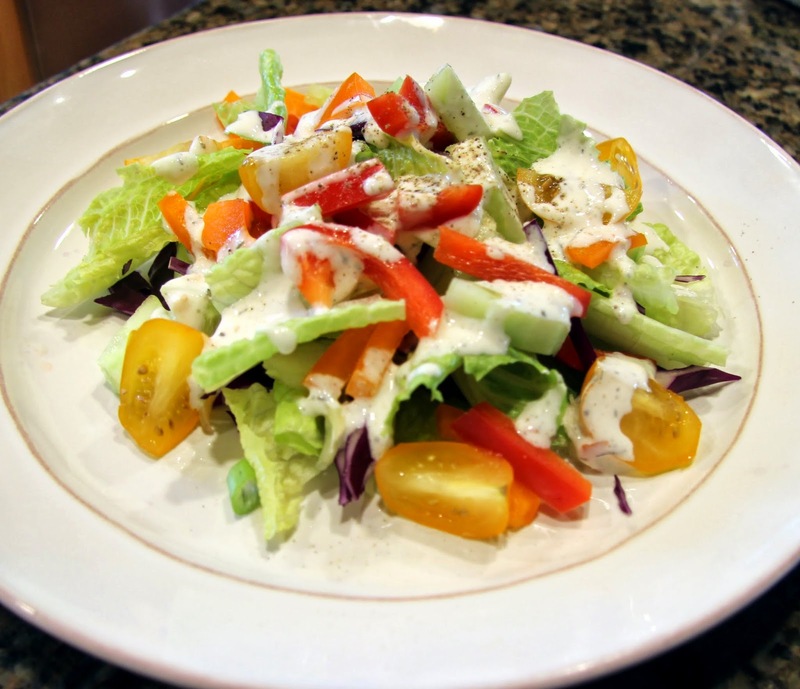 For the dressing, whisk in buttermilk until you have the desired consistency. Refrigerate until ready to serve. It’s spring break here and the 7-year-olds are going to help me paint their room this week. Those of you who know me realize what a big deal this is as I can be (ahem) a bit particular about the quality of work when it comes to painting my walls. That’s why I do it myself. The one time I hired professionals was pure torture as I had to look at paint drips and uneven lines. They even convinced me to go with a flat finish (not even eggshell!) in the powder room which proved to be a disaster every time we turned on the sink. Thank goodness we moved. To be fair, my husband does a very good job as well. In fact, it was he who painted the girls’ room the first time around since I was pregnant. He just doesn’t love it as much as I do so I pick out the paint colors, do the bulk of the work and he helps with the really high stuff. This time though, I let the girls pick out the colors, purple balloon for Ella, teal bayou for Hailey, for a more grown-up look than the “babyish” pale yellow and I really will let them help. They’ve been warned however that any unwillingness to listen and follow directions will result in them being off the job! I sound awful don’t I?? I’m pretty sure they’ll thank me someday when they’re able to confidently tackle a painting job in their own homes. Or they’ll shudder and curse me. We’ll see how it goes… I’ll keep you posted.